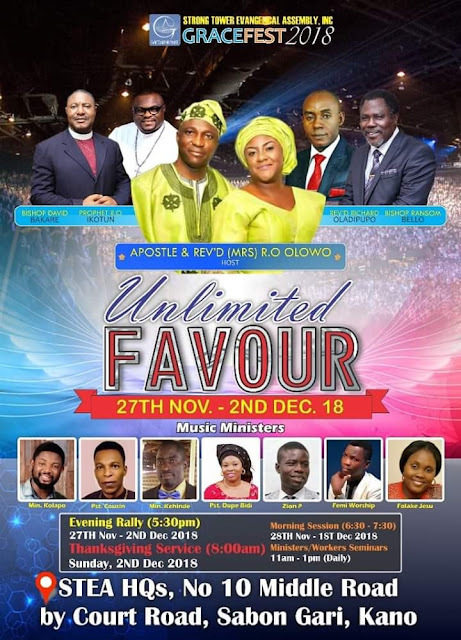 GraceFestival 2018 happening Live from tommorow,27th @StrongTower Evangelical Assembly, Kano. 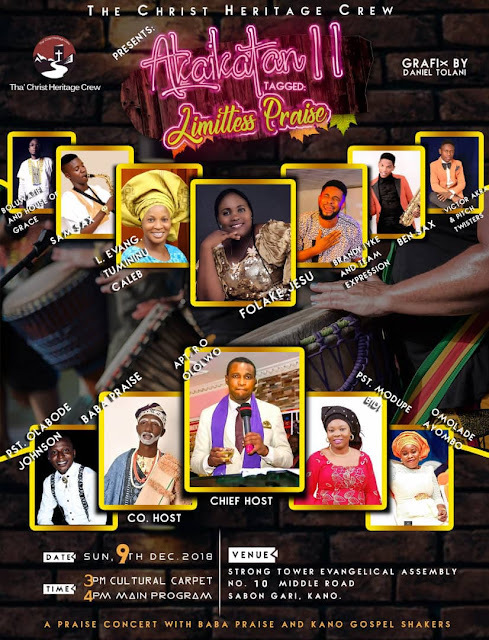 STEA HeadQuarters presents her annual convention, GRACEFEST 2018 tagged " Unlimited Favour". 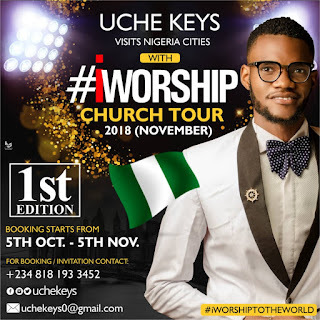 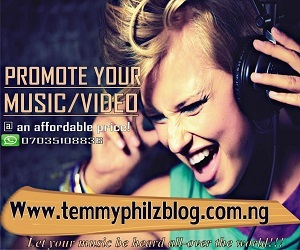 iWorship Church Tour with Uche Keys (Booking details).